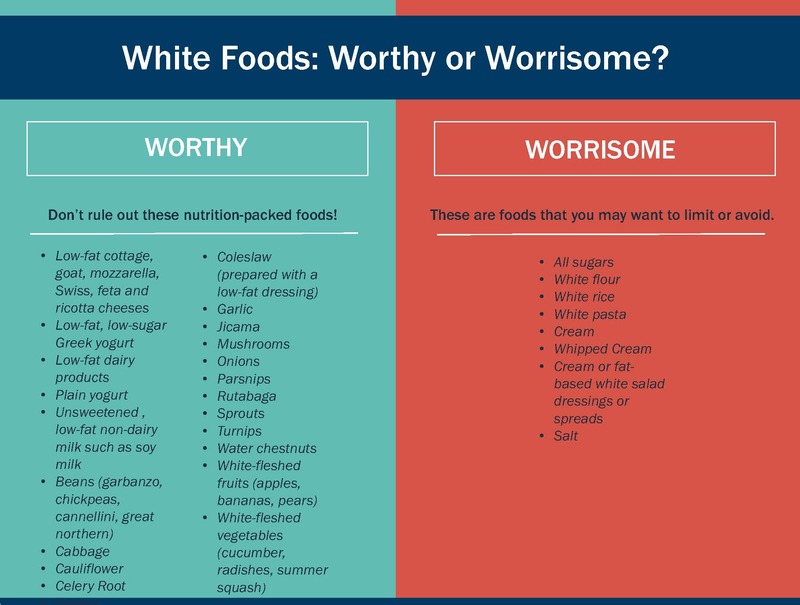 White Foods: Worthy or Worrisome? This New Year, many of us have resolved to live healthier lifestyles, whether by quitting smoking, exercising more or eating a healthier diet. If you’re looking to change your diet or take on a new health trend, you’re probably unsure about which one is best for you. One trend is to avoid white-colored foods. For example, if you follow the no-white-foods eating plan, you would eliminate parsnips, white fish, onions, cabbage, white beans and many other foods that are usually packed with important vitamins and minerals. While you may want to avoid or limit white sugar, flour, rice and pasta, don’t rule out white-fleshed fruits and vegetables such as apples and cauliflower. 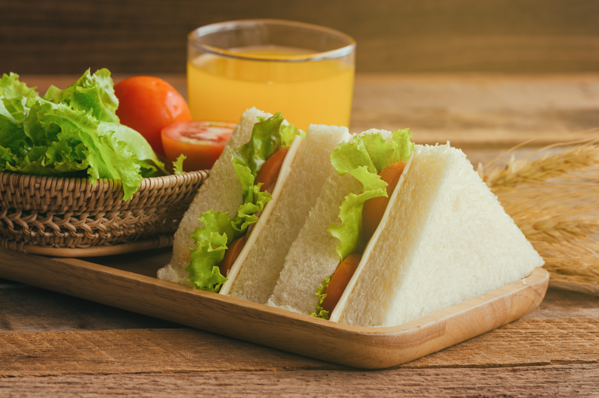 There are some white foods that should be avoided or eaten sparingly, but there are many others that can be nutritious additions to a healthy diet. Remember that regardless of a food’s color, it’s not a healthy choice if the cooking and preparation techniques or serving sizes aren’t good choices. For several years, the nutritional spotlight has been focused on consuming a “rainbow” of foods. Meaning, the more color a food has, the better it is for you. There are multiple studies that show the health benefits of blueberries, tomatoes and other brightly colored fruits and vegetables. So, try to eat the colors of the rainbow every day. For a more extensive list of white foods to eat or avoid, click here.